London : Henry Frowde, [ok. 1905]. 688 str., bibl. pap., 55 x 48 mm, us, zlata obreza. 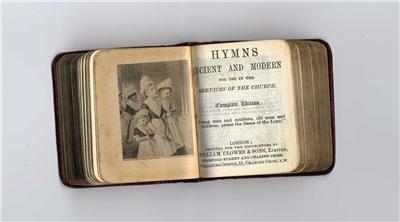 Privezano: Hymns ancient and modern, for the use in the services of the Church of England London : William Clowes & Sons, . 861 str., bibl. pap.